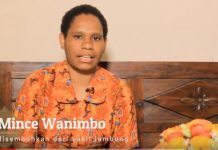 Here is a healing testimony that happened to Tiarma Sinurat who was healed from vertigo. Her sickness started on the first December 2017 when she had a severe dizziness that caused her vomit a lot. I was taken to the hospital and hospitalized for two days. Apparently I suffered from vertigo. I had a balance disorder and always felt unsteady when walking or standing. I felt frightened. One day when I was walking suddenly I fell and lied on my back. My head hit the floor and bled. I was taken to the hospital. My head got stitching and I continually had medication. I believe that what I need is God who is able to heal me. 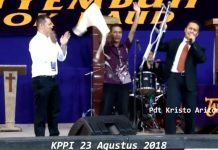 On March 22, 2018, she attended KPPI (Praise and Divine Healing Service) In Jakarta. After being prayed, she felt so peaceful and comfort. She knew God had touched and healed her. All her sickness had gone and could walk normally. She had gone to anywhere she wanted, even going by bus to visit her daughter. She was very happy and thankful for her healing.